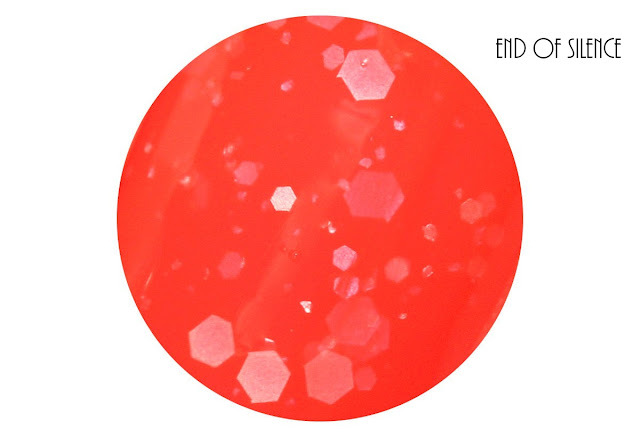 Swatches of the new Cadillacquer collection called All I Need! 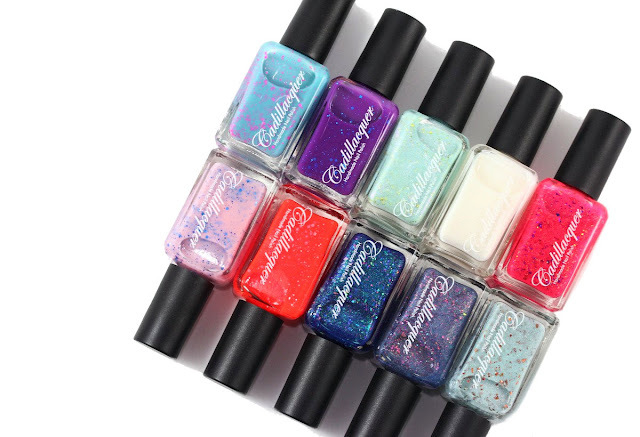 This is a 10 piece collection inspired by things that Madeleine loves, such as TV series, favorite travel destinations, her beautiful pets etc. 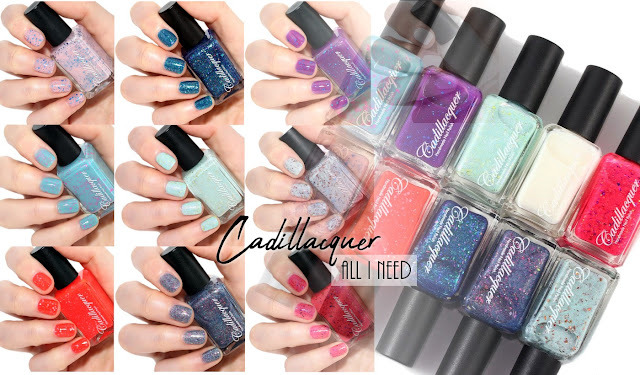 Cadillacquer is a Swiss indie brand that I particularly love because each polish is so unique, original and beautiful and they're all created with love by the talented Madeleine! 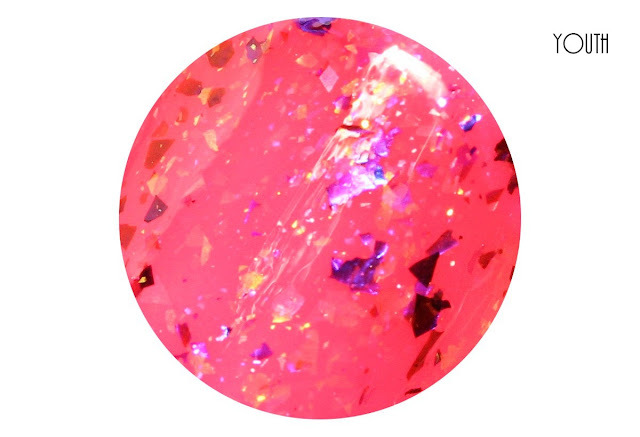 Youth - A neon pink jelly, with blue chameleon flakes and small gold iridescent flakies. 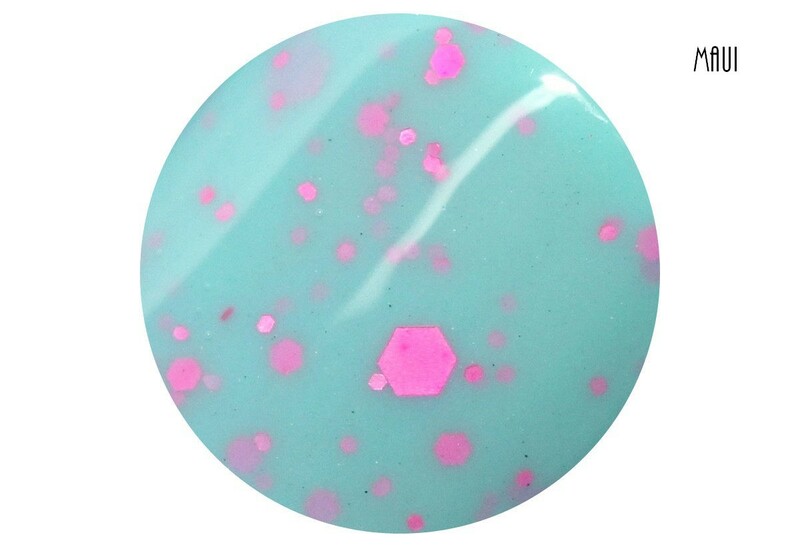 It's more neon IRL. 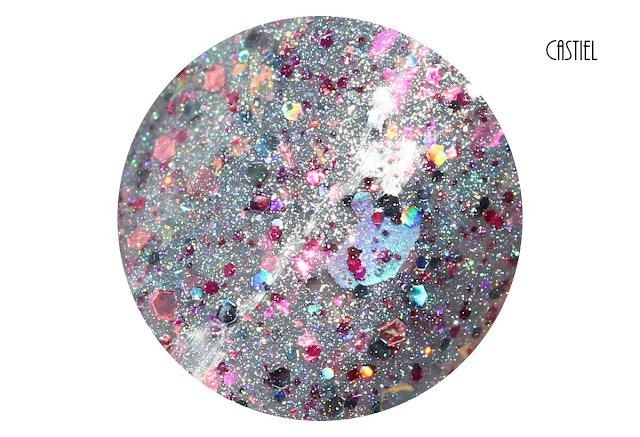 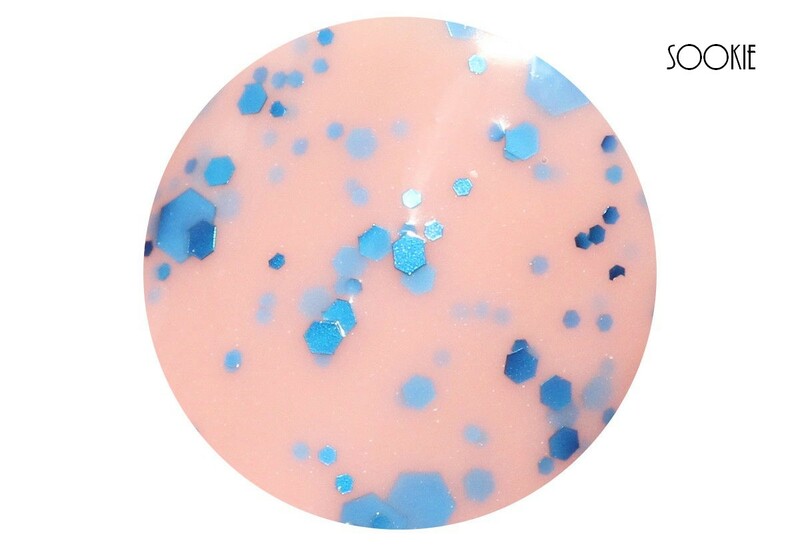 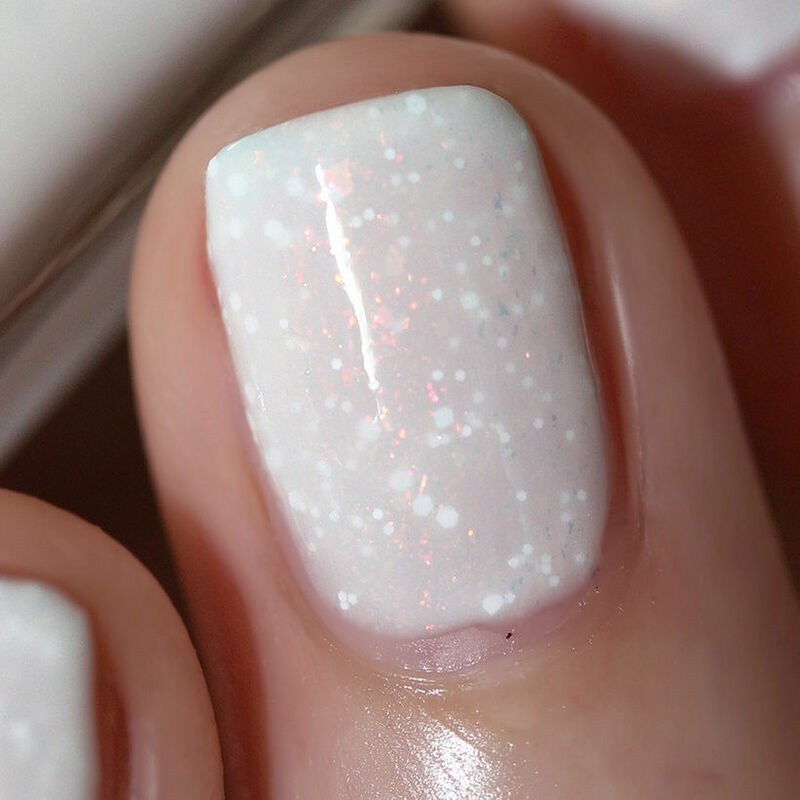 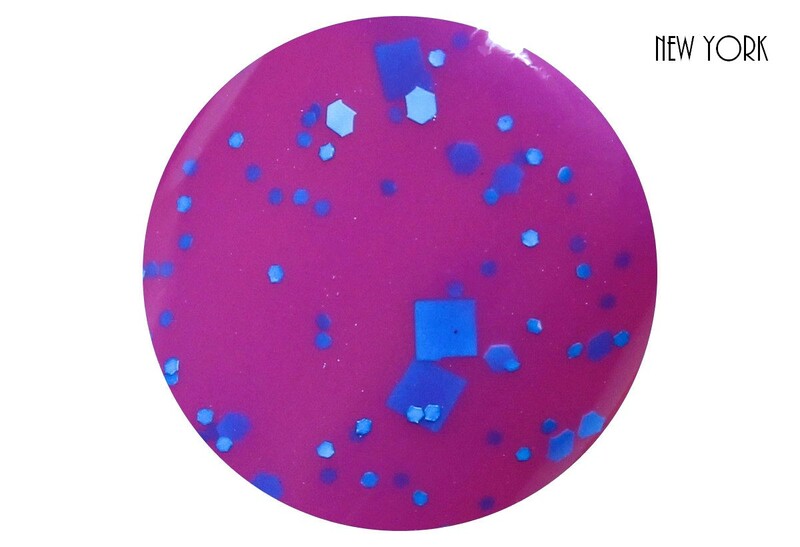 Sookie - A light pink crelly, with different sized bright blue metallic glitters. 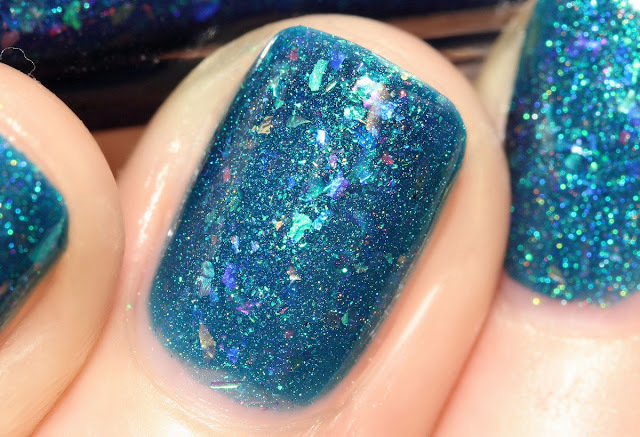 Some People Are Immune To Good Advice - A blue scattered holo, with green micro flakies and iridescent flakes in various colors. Alaska - White crelly, with small white glitters, red color shifting micro flakies and shimmer and red iridescent flakies. 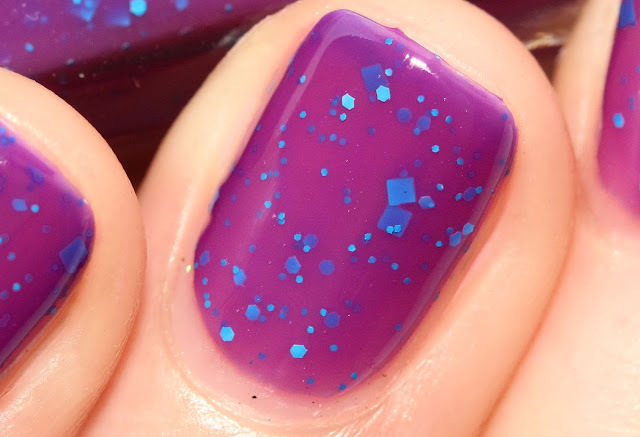 New York - Bright purple jelly, with different sized neon blue glitters. 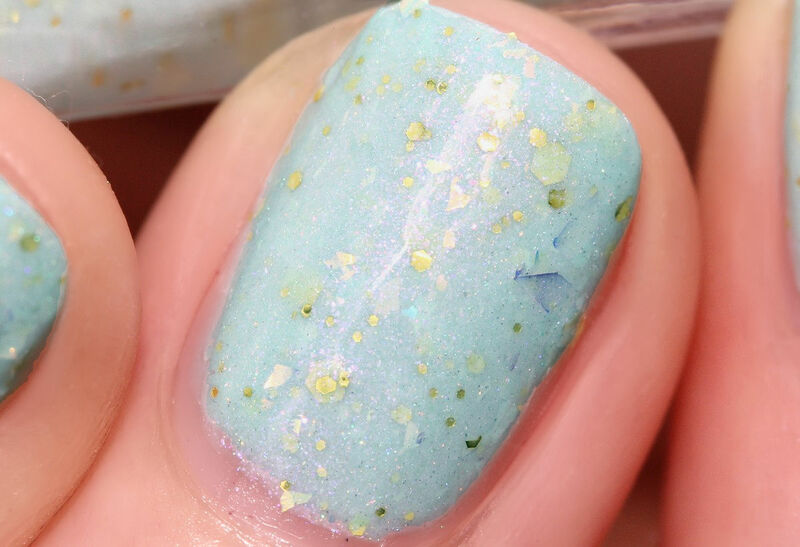 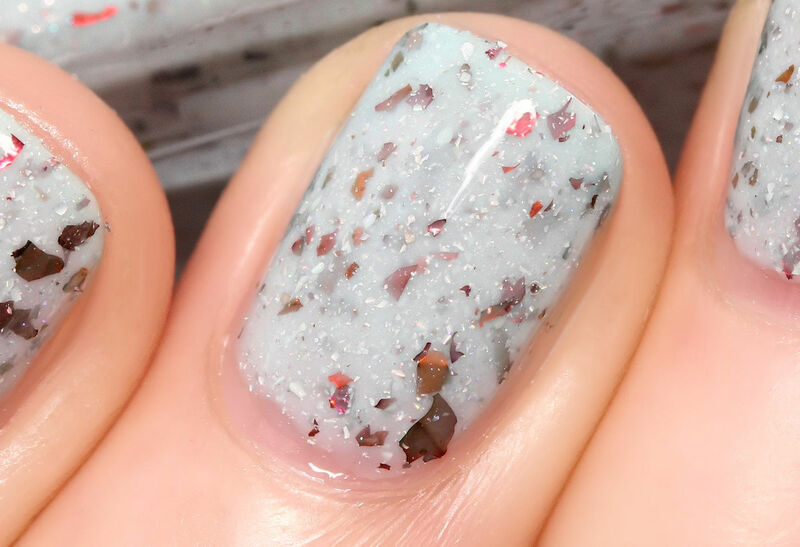 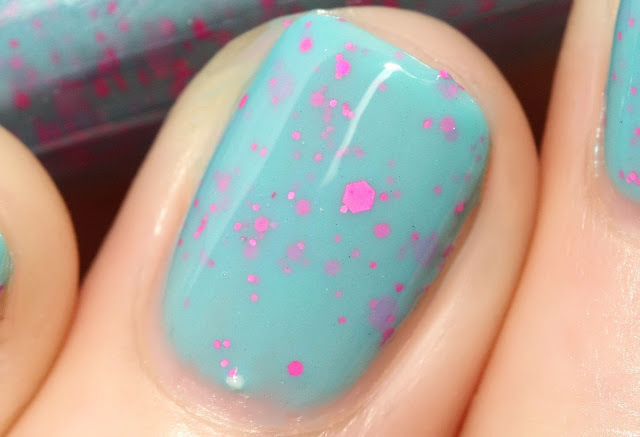 Maui - A turquoise crelly, with different sized neon pink glitters. 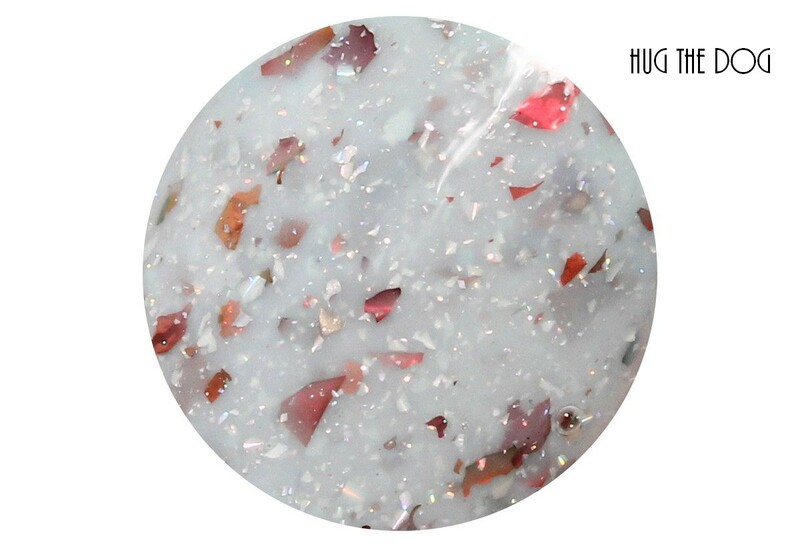 Hug The Dog - A light pastel green crelly, with two sizes of holo flakes and red chameleon flakes. 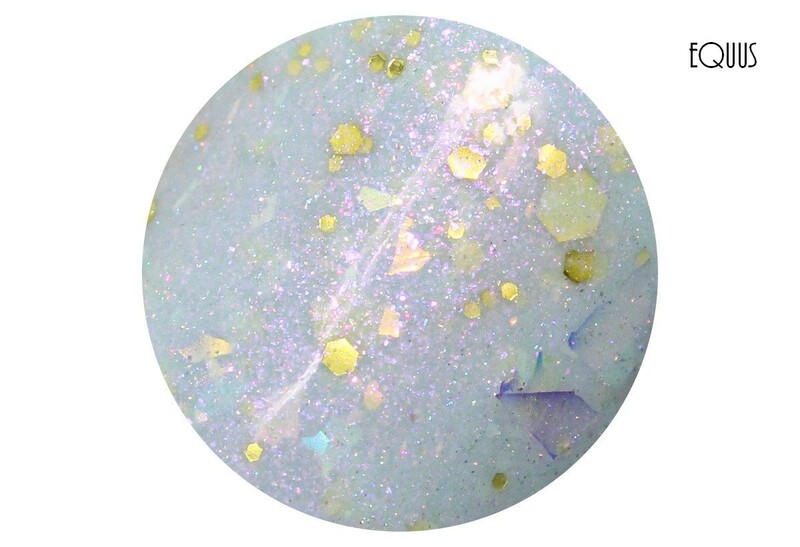 Equus - A mint crelly, with purple shimmer, gold flakies, different sized chartreuse metallic glitters and a subtle holo effect. End Of Silence - A neon red/oraneg jelly, with different sized matte white glitters. 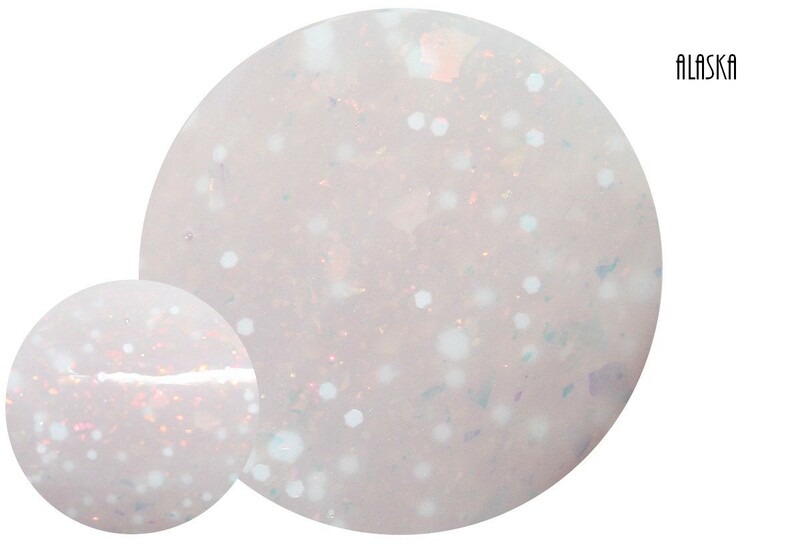 Castiel - Blueish grey holo, filled with charcoal and pink holo glitters in different sizes and iridescent pink flakies. 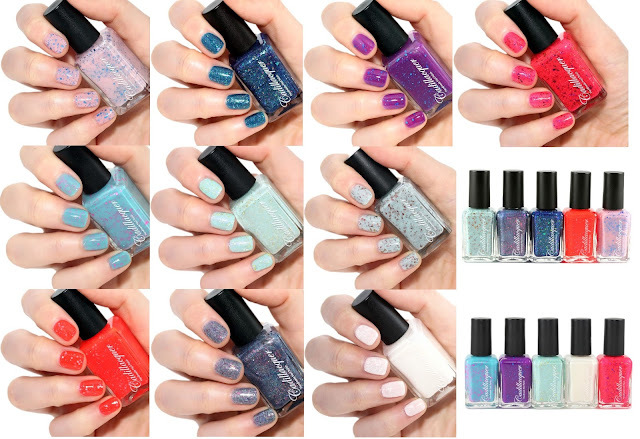 Do you have a favorite one? 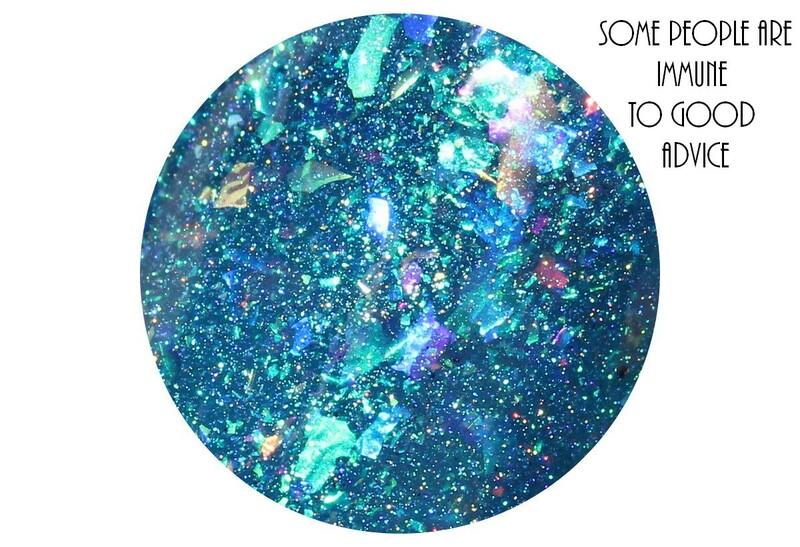 For me, it's hard to say because I love many of them...but if I had to mention just a few, I would say Maui, New York, Castiel, Some People Are Immune To Good Advice, and Sookie! But as I said I really like the whole collection, I also love the addition of the 2 neon shades, I think they look really cool!! 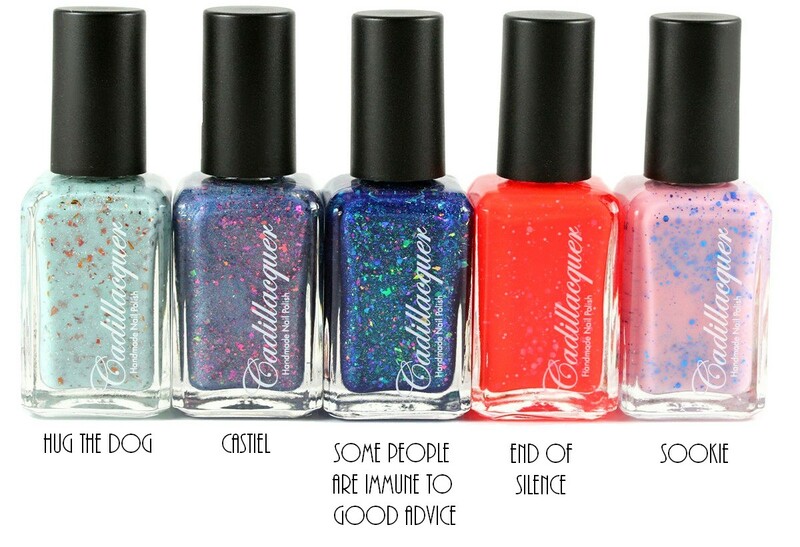 You can learn about the story behind each shade on Cadillacquer's IG account. The collection is now available on Hypnotic Polish, and a bit later on Lakodom and Color4Nails and Whats Up Nails.